CLACSO (Latinoamerica de Ciencias Sociales) offer this rich anthology as a free download. Crítica y Emancipación Nº11 CLACSO – Libros. This article is a welcome analysis of the different versions of Buen Vivir and the conditions of their emergence in modern Altiplano South America. Quick, Joe, and James T. Spartz. 2018. “On the Pursuit of Good Living in Highland Ecuador: Critical Indigenous Discourses of Sumak Kawsay.” Latin American Research Review 53 (4): 757–69. Sumak kawsay, a vision of good living originating in the thought of indigenous intellectuals, has attracted many commentators since its incorporation into Ecuador’s 2008 constitution. But it remains unclear in much of the secondary literature how the discourse of sumak kawsay and its Spanish derivative buen vivir relate to the day-to-day experiences of indigenous people. We address this lack of clarity through a three-part exploration of Kichwa perspectives on the good life. First, we describe how day-to-day discussions are more likely to revolve around the actually existing life of struggle. Then we analyze an artistic genre that illustrates how decolonized indigenous lives might look. Finally, we examine how the decolonial political philosophy of sumak kawsay has emerged out of concerted collective efforts to overcome the life of struggle. We consider how these three instances of discourse relate to a long Andean history of looking to the past for an alternative to the hardships of the present, and conclude with a call to take indigenous perspectives more fully into account when concepts such as sumak kawsay are invoked by nonindigenous actors. A new database from Oaxaca offers a database of issues across the Indigenous Latin American world. 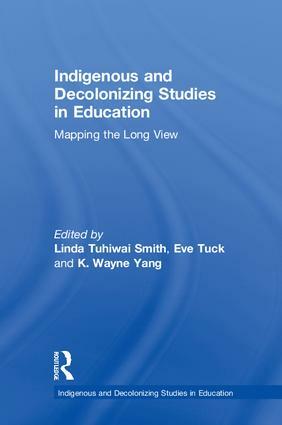 Linda Tuhiwai Smith has co-edited a new volume on decolonisation and education, including perspectives across Moana and the Americas. The aim of this site is to promote a south-south dialogue of ideas. It profiles individuals and organisations that explore a southern perspective on a broad range of disciplines, including creative arts, humanities, professions, social and physical sciences. Kevin Murray: We’d certainly recommend Unaisi’s book.